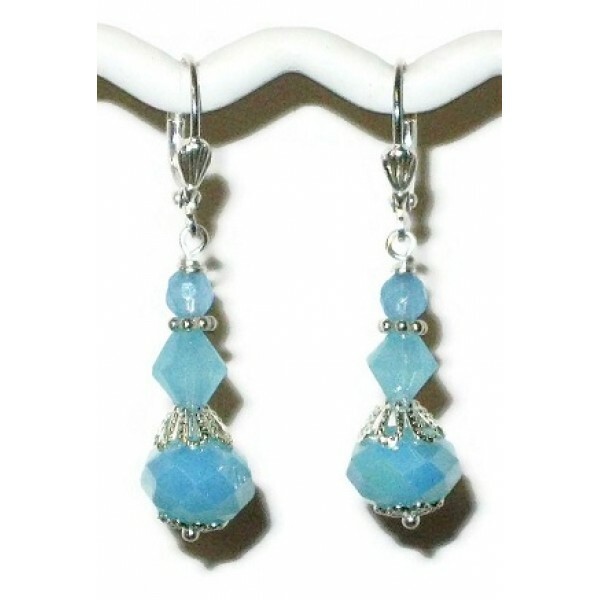 These baby blue earrings can be a great way to finish off your gown or dress for that special occasion. It contains crystals and faceted jade beads that are adorned with fancy bead caps & spacers. It measures approximately 1 3/8 inches from the top of the silver-plated earwires.